Africa is at the turning point of the thought-leader revolution. The 7 Humanomics lead the reader to a new hope for our future, for connecting with each other to form an unbreakable net of HOPE. Our personal stories need to be shared to bring about shared experiences: a sharing that will form a collective shield again forces intent on destroying our humanity. Collective consciousness is aided by giving of ourselves to reflect each other’s strengths, and is the only way to honour our heroes. Our reward is to harvest the bounty of giving, of sharing of ourselves. From Africa comes this voice of HOPE, to lead us to a new way of thinking about our purpose in life. 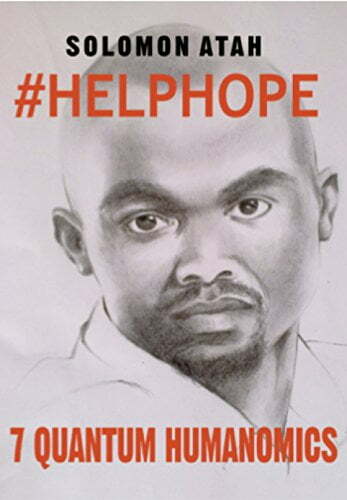 #HelpHope – 7 Quantum Humanomics is a call to action, for all of us to think about the impact we currently have, and can have, to leave this world a better place for those who come after us. Each Quantum details the thought behind it to provoke the reader to view his purpose in a new light, and then to act upon that insight. Quantum One: Power of personal story – Finding your true self and celebrating your own uniqueness. Quantum Two: #HelpHope – How locking into each other’s hopes can create a powerful collective thinking to help HOPE achieve greater things than the individual can. Quantum Three: Quantum Collective – How connecting with the dreams and hopes of our forebears can help us reach greater heights in our humanity. Quantum Four: Pass it On – The act of Giving – Urges those with current skills and knowledge to pass them on to those younger or unable to understand their power. Quantum Five: Echoing Each Other – By reflecting our individual hopes off each other, the spread of that pool of thinking will gather speed to eventually infiltrate every conscious thought process. Quantum Six: Heroes Amongst Us – Learning from our heroes, those icons of deep thought who have gone before us, will show us the path to finding our true purpose and contribution to Helping Hope. 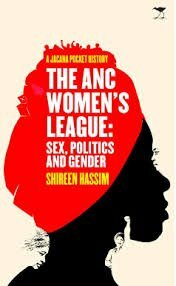 First formed in the 20th century, the ANC Women’s League grew from a modest grouping of women into an organisation occupying a leading position in the women’s movement in South Africa.